A luxury wedding and event business summit like no other, held at the world’s top resorts. Engage! Summits bring together the best in the luxury events industry for three days of inspiration and opportunity, with powerhouse speakers, specially curated content and intimate experiences with the leading lights of the industry. 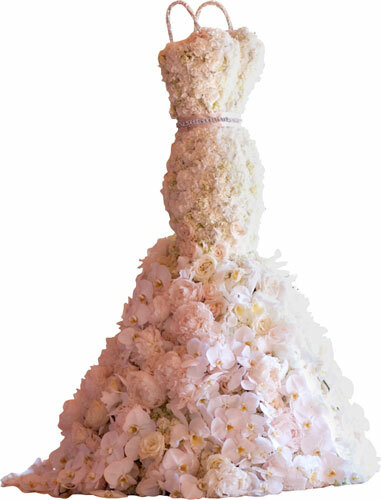 Attendees learn from the world’s top wedding, event and business innovators, as well as form lasting friendships and network with industry trend-setters from around the globe. Engage! brings together thought leaders in the luxury event and wedding industry with vetted event professionals looking to strategically advance their business with innovative ideas and partnerships. The intimate atmosphere allows for a free exchange of ideas as well as the chance to make lasting connections with peers in the luxury wedding and event industry. This candid, no-holds-barred networking event combines fabulous parties planned by the industry’s top names, creative gifting designed to inspire, and myriad opportunities to interact in small groups over lunches, dinners and activities. It’s about connection and community, not competition. Since 2008, Engage! luxury wedding business summits has produced 26 successful, sold out events and brought together more than 6,500 luxury wedding and event professionals from all over the United States and over 50 countries, including Canada, Mexico, Australia, Dubai/United Arab Emirates, Great Britain, Italy, Brazil, Russia, Turkey, Kuwait, South Africa, China, India, the Caribbean and many more. It must be experienced to be truly understood. We invite you to join us for our next amazing summit! 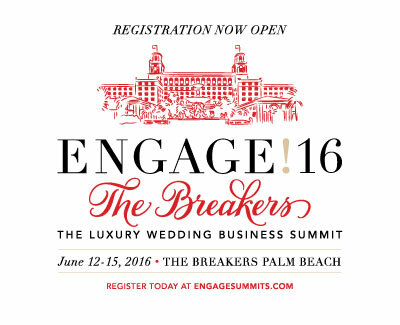 There is not a better luxury event in this business than Engage! Hands down this is the best conference our industry has anywhere in the world. And in every way. Engage! was an amazing experience meeting the most talented people in the luxury event & wedding business - I made new friends and left feeling very inspired and jazzed!! Bravo! You have given this incredible industry a summit of the best. I have learned that Engage! is an investment in myself, my business, and my ‘livelihood’ as an event entrepreneur. Engage! is full of industry superstars—the best of the best—sharing tips, trends, and insights into the wonderful world of event planning! As a first time attendee, I didn't really know what to expect – yet what I got was so, so SO much more than what I could ever have thought of even in my wildest dreams! It is so good to get a shot in the arm of inspiration and hear some good hard truths.